Hi everyone! I have a local event to share with you guys today, which I really encourage for you to learn more about and attend if you have the chance! I am not affiliated with the planning committee, but I am sharing this personally because I fully agree with the principles behind this organization. 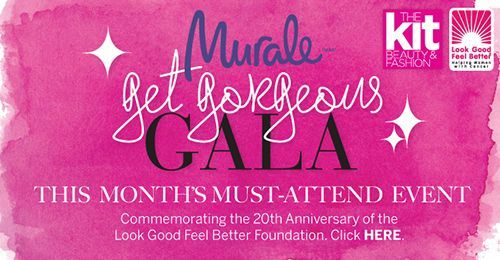 In support of the Look Good Feel Better organization, Murale is presenting the Get Gorgeous Gala! What is Look Good Feel Better? 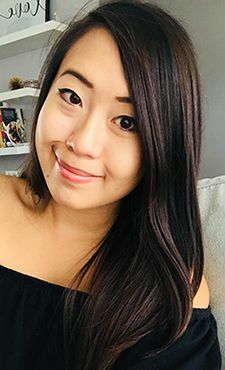 Look Good Feel Better is Canada’s only cancer charity dedicated to empowering women to manage the effects that cancer and its treatment have on their appearance, and often on their morale. Over 130,000 women have been helped through their workshops. Sherry Abbott from Look Good Feel Better will be in store to talk more about the organization and speak about future initiatives. Her presentation will begin at 2:00pm. There will also be a speaker from The Kit magazine to update everyone on the latest fall looks and trends. On site will also be demos from Shiseido, B Kamins, StriVectin and Benefit for anyone who wants to get a facial or makeover done. Book an appointment if interested! So, join us for an exciting afternoon of fun, food & beauty swag all for a good cause! Tickets for the gala are $20 and 100% of the proceeds go towards helping Look Good Feel Better achieve their goals. And of course, you will be contributing to a great cause! **Stop by Murale or call 780-467-2673 and ask for Ann to purchase a ticket / book an appointment for the demos. For more information about Look Good Feel Better find them here at their website. I will be attending this event and would love to know if you are too! It'll be such a great way to spend the afternoon away from school books and just have fun! Fabulous event and excellent cause! Yes! I am so excited to be able to support this organization because it seems so unique. I have never heard of one that supports cancer patients in this way! That sounds like an excellent and really worthwhile event. I'm sure you will enjoy it. Such a great event !! Events for a cause like this makes my heart melt. Thank you so much for sharing this Andrea, how I wish another event will be held this year since this event was still in 2012. God bless you!